December 10 , International Human Rights Day, celebrated the 64th Anniversary of the signing of the Declaration of Human Rights (UDHR). Across the globe this occasion brought together Tibetans and Tibet supporters to raise awareness and demand action from world leaders in response to the human rights abuses occurring in Tibet under Chinese rule. On this day the Tibetan Center for Human Rights and Development (TCHRD) honored the memory of the group of Tibetan monks from Drepung monastic university who risked their lives to publish for the first time a Tibetan translation of the UDHR. TCHRD recalled that for over six decades Tibetans have been denied the very rights that are this year the focus of human rights day celebrations, the rights of all people to freedom of opinion and expression, peaceful assembly and association, and participation in government. They pointed to the peaceful protests that have been violently suppressed, the Tibetan social, educational, and environmental organizations have been deemed illegal, the activists, writers, singers, and religious figures that have been arbitrarily arrested and frequently tortured and the re-education and assimilation campaigns have stifled freedom of expression. According TCHRD, the over 90 self-immolations that have occurred since 2009 are a direct consequence of human right violations, which have been especially brutal throughout 2012. In light of these widespread abuses and their horrific consequences, TCHRD has called for more "coordinated and concrete action" on behalf of world leaders. On December 10 , Tibetans and Tibet supporters worldwide held rallies and demonstration, echoing the requests of TCHRD for world leaders and citizens to speak up for and defend the right of Tibetans people to exercise freedom of opinion and expression, peaceful assembly and association, and government participation. Tenzin Dorjee, Executive Director of Students for a Free Tibet (SFT) asserted that, "the rising death toll in Tibet demands a new approach from world governments,", and called upon 2012 Nobel Peace Prize winner, the European Union, and the 2009 Peace Laureate, US President Barack Obama, to take multilateral action in defense of human rights in Tibet. A press release from SFT stated that rather than addressing the grievances of Tibetans, China has responded to the wave of self-immolations with further militarization of the Tibetan plateau and harsher policies that only exasterbate conditions. Emphasizing the EU's stated commitment to "conflict prevention and crisis management", SFT and the International Tibet Network wrote to the EU requesting that they use their position as Peace Prize winner to lead worldwide action. Kate Woznow, International Director of SFT stated that it is easy for China to ignore the advice of single actors and that the only way forward is coordinated diplomatic action. 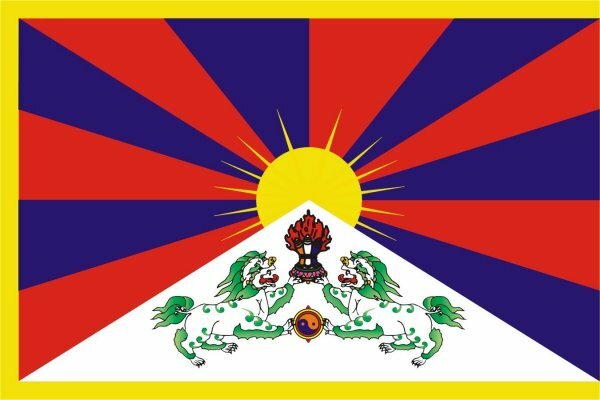 The India Tibet Coordination Office(ITCO) also published a press release, drawing attention to the human rights abuses occurring under Chinese leadership, and stating that "we the people of India stand up in solidarity with the Tibetan people in their struggle for freedom and justice,". Further, they demanded (1) that an independent media delegation visit the affected areas of Tibet and (2) that the Government of India takes the initiative in addressing the aspirations of the Tibetan people. Internationally many other statements were made. On December 9 , a peaceful demonstration was held in Rio De Janeiro, Brazil. Tibet supporters in Brazil, expressed solidarity with the Central Tibetan Administration and its democratically elected leader, Dr.Lobsang Sangay, taking action to raise awareness about the human rights violations taking place in Tibet. The demonstrations were held in the Netherlands, Emirates, Hungary, and Hong Kong. On December 10  this demand was repeated with peaceful demonstrations held in over 40 cities worldwide. The largest ever gathering of Tibetans and their supporters took place at the United Nations General Assembly building in New York City, calling upon world leaders to join together in defense of universal human rights for Tibet. Around 200 Tibetans, Indian supporters, friends of Tibet, human rights sympathizers and people from different walks of life in Delhi and the National Capital Region (NCR) joined for Candle Light Vigil to show their solidarity with Tibetan people at Jantar Mantar, New Delhi from 6PM to 7PM. The participants had a roundabout candle vigil starting from Jantar Mantar via Parliament Street holding India-Tibet National Flag with the banner title "Global Solidarity Day on Tibet". The participants observe a minute's silence and prayers for all those martyrs of Tibet who have laid their lives simply asking for freedom of Tibet and the return of His Holiness the Dalai Lama to Tibet. This program was jointly organized by Core Group members and Tibet Support Groups in Delhi. The representative of Tibet supports groups, such as India Tibet Friendship Society, Bharat Tibbat Sahyog Manch, Himalaya Parivar, Himalaya Committee for Action on Tibet, Muslim Rastriya Manch, Students for Free Tibet-India, Friends of Tibet and Youth Liberation Front of Tibet participated in the event. The personals from different walks of life expressed their deep concern on continuing desperate acts of self- immolation inside Tibet which have reached 95 as of 10 December 2012. This clearly reflects the gravity of human rights situation inside Tibet. India Tibet Coordination Office based in New Delhi coordinated the event among Tibet supporters and Tibetans residing in Delhi to bring bigger audience and to stand in solidarity with Tibetans in Tibet for their demand for basic fundamental rights and religious freedom. On the occasion of the International Day of Human Rights, the Tibet Initiative Deutschland (TID) led a nation wide vigil yesterday. Events were held in all major German cities - Berlin, Frankfurt, Hamburg, Munich, and Stuttgart - demonstrating solidarity with the Tibetan people. TID specifically called for the European Union, which won the Nobel Peace Prize yesterday, to take a clear position against the Chinese government's harsh policies in Tibet. “A rapidly increasing number of self-immolations has marked the tragic climax of 60 years of Chinese arbitrary rule over Tibet”, said Nadine Baumann, TID executive director. “The world is watching Tibet in horror and is appealing to the EU to clearly condemn the Chinese policy regarding Tibet.” November this year alone has seen 28 self-immolations of Tibetans. In Paris, around 300 Tibetans and French Tibet supporters marked the 64th anniversary of the declaration of Charter of the Universal Human Rights in Paris with a solidarity campaign to draw the attention of the international community to the deepening crisis in Tibet. The solidarity vigil was held at Place Sainte-Michel, at the heart of the city flocked by tourists as well as local French citizens. Tibetans and Tibet supporters on Monday gathered in the city centre of Canberra, Australia, in solidarity with the Tibetans inside Tibet as well as to raise awareness regarding the current wave of self-immolations in Tibet. Hundreds of Tibetans and supporters from Switzerland, Liechtenstein, Spain, Austria and France braved the cold winter weather in Geneva to express solidarity with all those Tibetans who self-immolated in Tibet since February 2009. The rally was organised by the Tibetan Community in Switzerland and Liechtenstein. A petition on Tibet signed by 351,000 people during the flame of truth relay in 90 countries was submitted to Office of the UN High Commissioner for Human Rights. A Tibetan delegation – comprising two members of Tibetan parliament-in-exile, Ven. Thubten Wangchen and Mrs Chundgak Koren, the president of Tibetan Community, Mr Lobsang Gangshontsang and His Holiness the Dalai Lama’s Representative based in Geneva, Mr Tseten Samdup Chhoekyapa – briefed the UN Human Rights Officers on the present situation in Tibet and the flame of truth campaign. They also thanked the High Commissioner for her recent statement on Tibet.